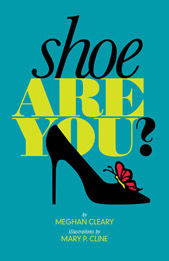 Meghan Cleary, aka, Miss Meghan is a footwear expert, thought leader, best-selling author, spokesperson and TV personality who created Shoe Therapy© along with shoestrology, and created what your shoes say about you, with the publication of her first book, The Perfect Fit: What your shoes say about you© in 2005. As America’s shoe expert, for seven years she has traveled the globe visiting the showrooms, workshops and design studios of the world’s hottest shoe designers and doling out Shoe Therapy© sessions to women from NYC to LA. Her unique insight on trends and industry innovations, coupled with her easygoing conversational style make her a favorite media personality. She has appeared on the TODAY show, Extra!, The CBS Early Show, The Tyra Banks Show and The Rachael Ray Show and has been profiled across a variety of media platforms including the Wall Street Journal, The Financial Times, Daily Candy, The Huffington Post, XM Radio, NPR, BBC1, Associated Press, Marie Claire, Real Simple, and Glamour. Creator of Shoe Therapy© and the Shoe Therapy© TV show broadcast to 80 million homes on HSN; the podcast, blog series and book Shoe Are You?®; a best-selling capsule footwear collections called Miss Meghan® on SHOPNBC and MeghanSAYS® at Nordstrom; the very first social media campaign for the Italian Shoe Association; and consulting producer on feature documentary God Save My Shoes, Meghan continues to innovate unique ways to engage with passionate footwear fans the world over. 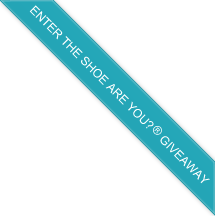 For some free Shoe Therapy, click here to receive a copy of Meghan’s Shoe Are You?® Stiletto Handbook.